Do you admire the images on magazine covers and movie screens while wishing for your own dazzling smile? With a total smile makeover, you can achieve a gorgeous, new look and enjoy renewed confidence in your image. As a skilled cosmetic dentist, Dr. Coleman uses the latest techniques, including teeth whitening, porcelain veneers, and all-white restorations, to transform smiles and change lives. When you arrive for your initial consultation, we will sit down with you and discuss your areas of concern, desired result, and other factors. We will provide a thorough evaluation and review your options. We want you to feel confident in the treatment you receive, and we always strive for excellence at every stage of care. If I could give Coleman & Coleman 10 stars, I would! I am constantly complimented on my beautiful smile which they enhanced. I highly recommend them for all your dental needs both cosmetic and regular. 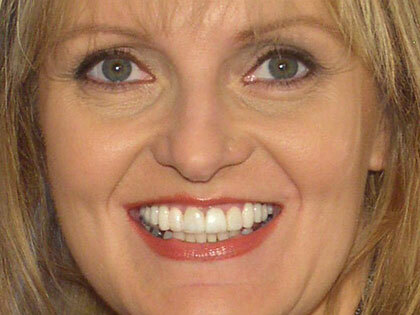 What are the benefits of a Smile Makeover? To begin your smile makeover, we will schedule a consultation with Dr. Coleman so that you can discuss your goals and desires with him. You can bring pictures of smiles you admire to this visit. After a thorough oral evaluation, Dr. Coleman will customize a plan for a Smile Makeover that fits your personality, style, and budget. Ask us about payment options and phased treatment plans. 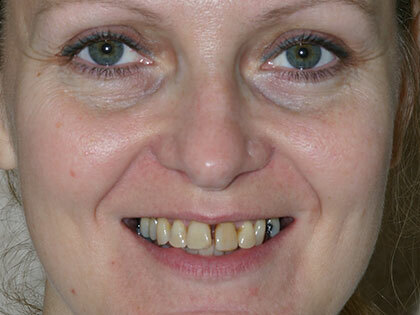 Smile Makeover plans often require multiple visits to our practice. If you feel any discomfort or anxiety about dental treatment, we offer sedation dentistry techniques to help put your mind at ease. We believe everyone should have access to the smile they have always wanted. How long until I can see the final results? Since every treatment plan is unique, the final outcome will depend on the number and types of techniques used to achieve your goals. Some treatments can be completed in a single visit while others, such as dental implants, porcelain veneers, and Invisalign®, can require more of a time commitment. We understand that you’re eager to see your new smile in all its beauty, and we will do everything we can to make your experience as quick, safe, and comfortable as possible. Let us give you a breathtaking smile. Call our North County dental office today and make an appointment with Dr. Coleman to discuss the benefits of a smile makeover. Residents of Vista, Oceanside, and beyond can visit our practice for exceptional care.